Maybe you are like every other person in America who is trying to decide between an iPhone and one of the many (80 or so?) Android phones on the market. If you have never used one of these smartphones before, you will probably wonder why it took you so long to get one. The convenience, usefullness, and sheer fun of having such a device makes it hard to imagine ever being without one again. I have been using an iPhone for the past two years. It has been my daily alarm clock, my timer (for cooking), my camera, my note-taker, my GPS mapper, my e-mail checker (for both my work and personal accounts), my texter, and my phone. I used it so frequently that it was necessary to plug it in every night to fully charge the battery. Not long after I purchased my iPhone, my friend Brandon informed me he was getting a phone that would put mine to shame. He was talking about the Google Android, of course. I have watched him operate his Android with skepticism over these past two years. Was it really better than the iPhone? When my contract with AT&T was finished this month, Brandon finally convinced me to come to the Dark Side with the Motorola DROID X2. 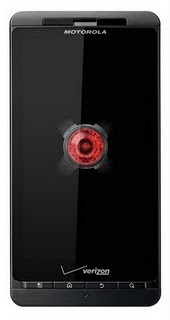 It has Verizon's first dual-core 1 GHz processor and an 8-megapixel camera. Brandon told me that it would run four times faster than my iPhone (3G.) A smartphone with faster web-browsing capabilities was something I desperately wanted, so it didn't take much prodding to convince me to change. I also do not like the blocky brick-like appearance of the new iPhone 4. It's nice to see it is available in white, and if I had stayed with AT&T, I'm sure that's what I would have purchased. Brandon has a more entertaining view on the differences between these phones. "Steve Jobs is a bit like Communist China," he said. "You get one phone, one browser, everything is the same. That makes it easier for them. With the Android phones, you get a lot of choices." A lot of choices about every aspect of the phones, actually. When my DROID X2 was delivered, I had Brandon show me how to use it. I was very impressed with some of the features that were not available on my old iPhone. For one, there is a search button on the DROID X2 that you can hold down for a second, and then you can use voice commands to search the web. Brandon demonstrated this by saying to my phone: "Look up pictures of goats in trees." Within 3 seconds, there were links to pictures of goats in trees displayed on the phone. (OMG...how did I live without this before?!) The 8-megapixel camera is wonderful, since it has more than twice the megapixels of my 3G iPhone. 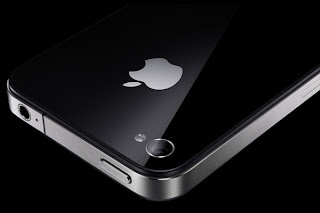 (The iPhone 4 only features a 5-megapixel camera.) I took a great picture of Brandon in the dark and was amazed that the Android had an automatic flash function. Brandon downloaded some of his favorite applications onto my phone, and he kept commenting on how fast it was. "Now I'm going to have to get one," he said. I know I'm going to be stumbling around for a while as I get used to the differences between an Android and the iPhone. Brandon also cautioned me that the "open source" applications created for Android phones run a higher risk of being programmed with viruses since they do not go through the approval process of iPhone applications. Freedom has its price, I suppose. As I write this blog, my phone is alerting me of a new text message with the singular, uber-cool, robot-sounding "DROID" rally. Yeah, this was a good choice.